Group size : 10-200 pers. 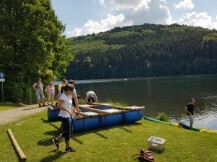 Build a raft with your team is a real challenge! We provide the materials and the support, you build your own raft with your team and do a challenging race on the Lake. After a briefing by our professional team, the participants will be divided into groups. 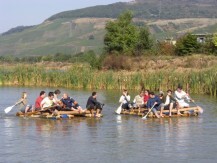 Several rafts can be built with 7-15 teams and can be lowered into the water. 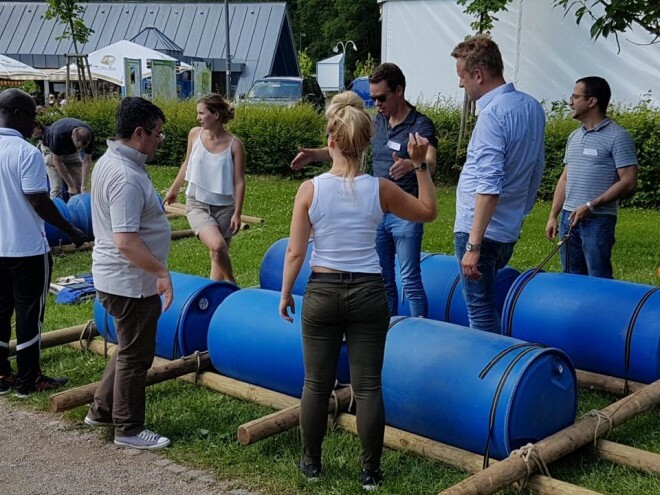 Teams will have to build their own Rafts from different items (barrels, wood, ropes ...). 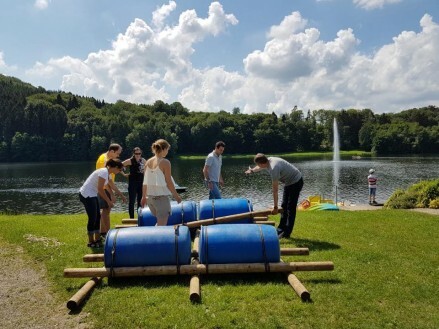 It is at this stage that the word "team spirit" becomes meaningful because the different participants of this activity will have to combine their various qualities to build the best possible raft. The final cut will be a Raft challenging race in the Lake. Get ready to have much fun with your team! We offer you the opportunity to finish in style with a live BBQ on the Lake. We also offer private bus for the travel, hotel accommodations with possibility for conference or meeting.